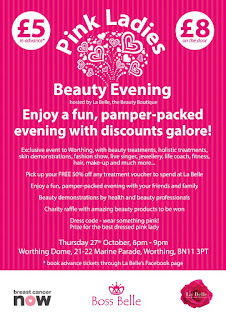 Thank you to everyone who joined us at The Dome in Worthing on Thursday 27th October for the ‘Pink Ladies’ beauty evening hosted by our La Belle team. With over 150 tickets sold there were queues out of the door and running along the seafront before the doors had even opened at 6pm, which saw the evening off to a flying start. We're regular supporters of Breast Cancer Now (the UK's largest breast cancer research charity who are dedicated to funding research into this devastating disease), and we wanted this event to not only raise money for a great cause but to also host an evening of fun and entertainment and definitely one that everyone would remember for a long time to come. Attendees enjoyed a fun-packed evening including a live zumba demonstration with everyone invited to join in, a fashion show plus live music from the amazing Rachel Emma, a 50’s jazz singer. There were expert beauty and skin demonstrations plus everyone went away with a 50% off any La Belle treatment voucher as part of their goodie bag. The event was such a success, we have now scheduled an annual Pink Ladies event into our marketing plan. If you’d like to attend or have a stall next year, please keep an eye on our Facebook page and send us an email at sonia@labelle-beauty.co.uk. Pink Ladies- Health and Beauty Evening! Enjoy a fun, pamper-packed evening with discounts galore! 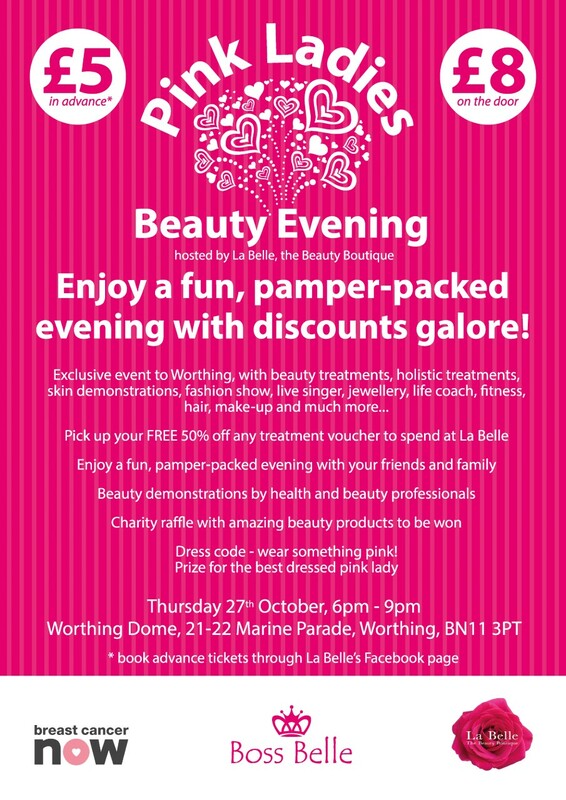 Join us at the Pink Ladies Beauty Evening at The Dome in Worthing on Thursday 27th October for an evening, which promises to be 100% fabulous. • Dress code – wear something PINK! 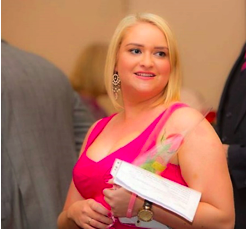 Prize for best-dressed pink lady. 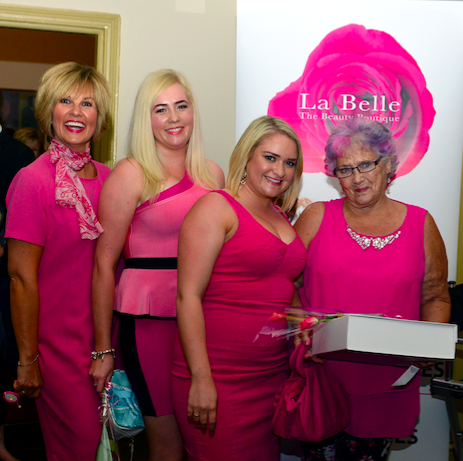 What’s more, all proceedings go to Breast Cancer Now, the UK’s largest breast cancer research charity who are dedicated to funding research into this devastating disease; a charity we at La Belle are all passionate about supporting. There will be no shortage of jovial fun to enjoy. With something to suit all tastes, this makes for the perfect date with friends and family, and even work colleagues. Dress code. It’s not every day one gets to dress head to toe in pink, so why not go all out to be in with a chance of winning the prize for the best-dressed Pink Lady (or Pink Gentleman). We know this may not be everyone’s cup of tea so as long as you have something pink (lipstick, nail varnish, scarf) then that’s enough to make us happy! Plan your new wardrobe whilst watching our fashion show. This is sure to be one of the highlights of the evening, make sure you’re seated comfortably for a catwalk show that’s guaranteed to inspire. Take part in our skin perfecting demonstrations. 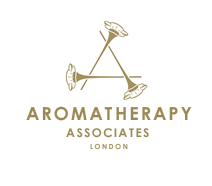 Learn the most effective way to look after your skin-type with demonstrations from the experts. Learn new hair and make-up tricks. Master new hairstyles and make-up tips to add to your beauty regime: up-dos, evening hairstyles, contouring and more. Meander the health and beauty stalls. Purchase one-off, handcrafted jewellery, learn about the latest fitness trends, watch the fitness shows (we have lots of exciting surprises for you) and browse the luxurious products on offer – also great for Christmas presents! If you need any help booking your tickets, require further information, or would like to see if you can book a stall to exhibit at the Beauty Evening, please contact La Belle Beauty Salon on 01903 239 177. A wake up call to legs bums and tums! 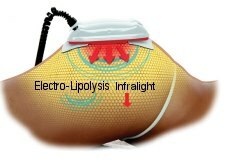 Laser Lipo is the latest generation technology in effective treatment of cellulite and body-reshaping! Laser Lipo is a painless, effortless process that can successfully target fats and cellulite in problem areas such as: Thighs, Buttocks and Abdomen. The fats in the cells are broken down and then consumed by stimulated muscular contractions. Laser Lipo is an innovative piece of technology which combines two of the most effective therapies in the treatment of cellulite and body re-shaping. The stunning results and proven effectiveness in the product of the simultaneous use of electrolypolysis and locally applied chromotherapy. Electrolypolysis simulataneously causes muscle contraction and immediately burns the fat for energy which the laser rays generate heat and stimulates enzyme activity In the fatty tissues, thereby dispersing the fatty acids into the bloodstream to be used as energy. The key to the fantastic results achieved with the laser lipo is a special microprocessor that is able to direct the thermal energy to the areas affected by fatty tissues or cellulite. By aiming the light directly into the fatty tissue, the infrared radiation encourages a biological response, which in turn leads to a recovery in cell function and consequent improvement in the micro-circulation. How often should I have Laser Lipo? Having laser lipo is a bit like going to the gym, you can’t go just once and expect to see results straight away, a course of 6-12 sessions is recommended in conjunction with a healthy diet and exercise regime. I recommend having laser lipo 2-3 times a week to begin with and then once a month for maintenance.